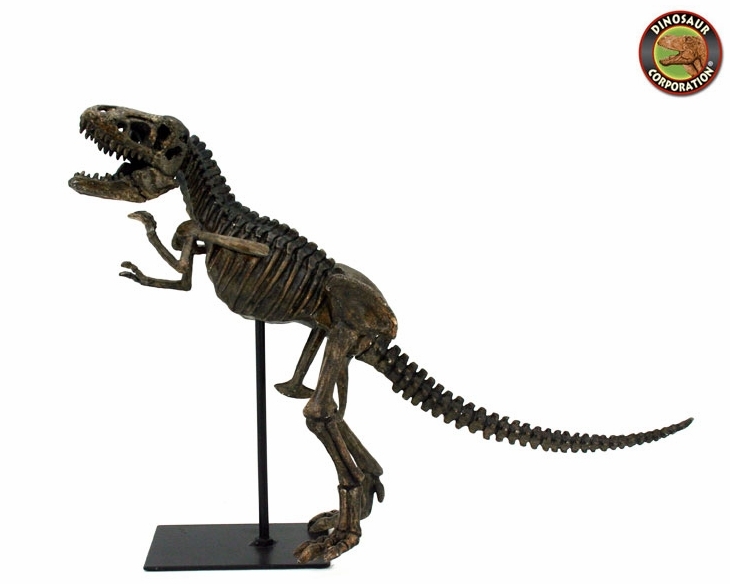 Home | MODELS, KITS | T-REX REPLICAS | Tyrannosaurus rex Skeleton Fossil Replica 20"
Tyrannosaurus rex Skeleton Fossil Replica 20"
Tyrannosaurus rex skeleton. Fossil Replica. Tyrannosaurus rex was one of the largest meat-eating dinosaurs that ever lived. Everything about this ferocious predator, from its thick, heavy skull to its 4-foot-long (1.2-meter-long) jaw, was designed for maximum bone-crushing action. T- rex lived during the late Cretaceous period, about 85 million to 65 million years ago, toward the end of the Mesozoic Era, the Age of Reptiles.